SLICES OF HEAVEN? WE PILE THEM ON. 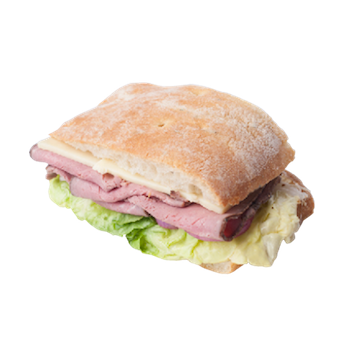 We house-roast premium cuts of all-natural, nitrate-free meat daily and proudly serve Seattle’s best, fresh-carved sandwiches. We only use natural cheeses with no preservatives or artificial coloring and breads without dough conditioners. All sandwiches and wraps come with local Tim’s Chips, French Potato salad or Jalapeno slaw. Add one of our fresh and hot veggie sides from the “Veggie Patch” for an even healthier meal.